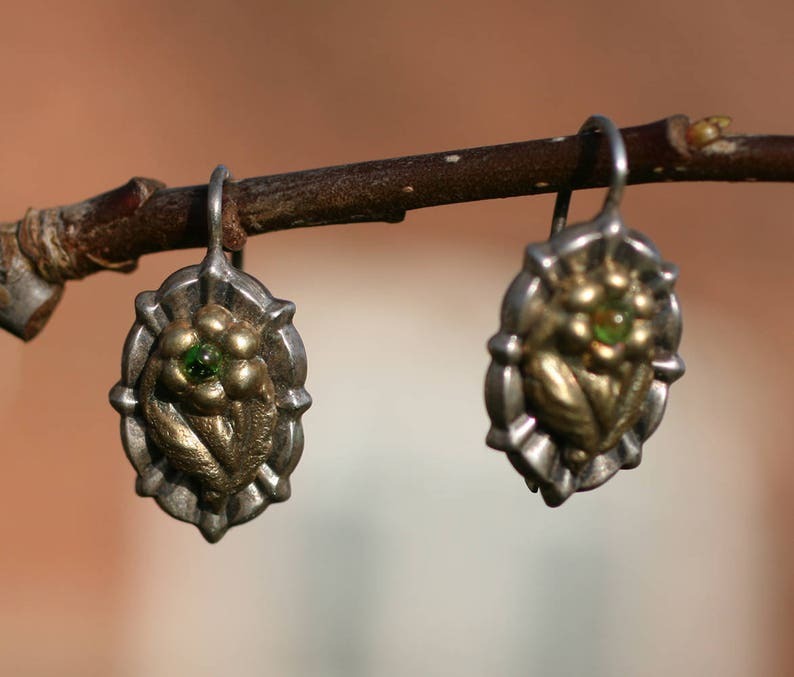 Description: Here are some stunning antique gilded 900 silver green bead earrings. They are back fastening. Materials: 900 silver. Unknown green gem or glass beads. Gilding. Value Points: These are remarkably elegant and stylish earring. They feel light and dainty on the ear but look striking (they are not heavy earrings). The beads are an enticing bright green. They are very versatile as they can be worn with silver or yellow or white gold. Final words: These are earrings that you just have to have. They are lady-like, rare and gorgeous. *Expedited International Service can be arranged.